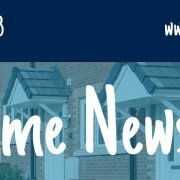 Our news in Home News! 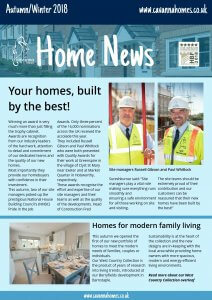 Pick-up a copy of the latest edition of Cavanna’s Home News at one of our show homes or marketing suites – or read it online here. In our Autumn/ Winter 2018 edition we have the opening of Torbay’s newest play park at Fusion in Paignton, our new homes at Berryfields in Barnstaple and our two Site Managers who have picked up ‘Pride in the Job’ awards from the National House Building Council. https://www.cavannahomes.co.uk/wp-content/uploads/2018/11/CavannaHomeNewsCoverdetail.jpg 470 1276 Janine Dixon https://www.cavannahomes.co.uk/wp-content/uploads/2018/12/cavanna-homes-logo.svg Janine Dixon2018-11-29 12:13:332018-12-03 16:49:10Our news in Home News!